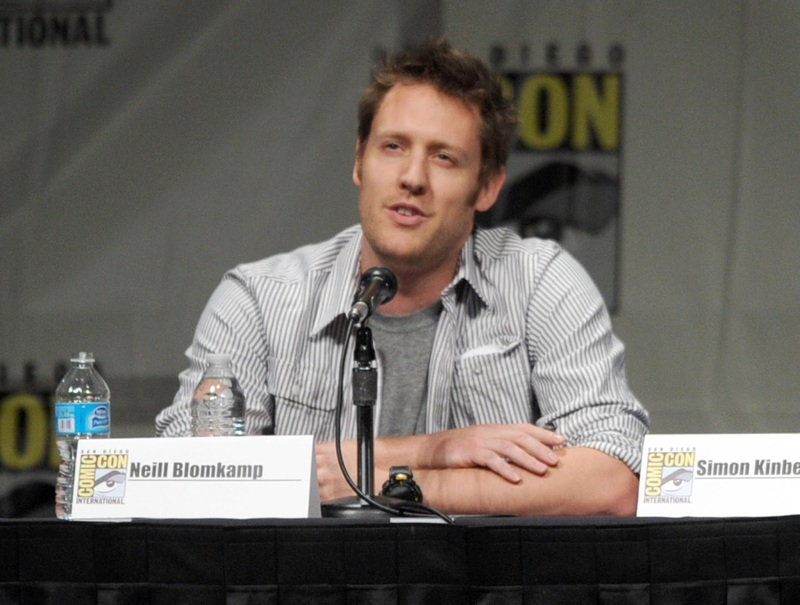 The wait for Director Neill Blomkamp's 2nd film is finally over! one of the most sought after young film makers in Hollywood! 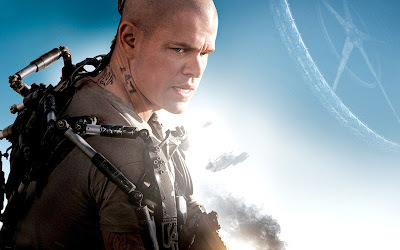 As hard as Elysium tries to be something more, the majority of the film feels more like spectacle than substance. All the seeds are planted from the outset of this film to deliver Hollywood’s definitive commentary on social injustice, but there is just something missing. Perhaps it is the heart of the film; while Blomkamp sets up Matt Damon’s relationship with a young girl who must travel to Elysium for a cure to her leukemia, not enough time was spent developing that character relationship to make the film's stakes as high as they should be. Instead, the majority of the film was spent focusing on a coherent but stereotypical love story between Max (Matt Damon) and Frey (Alice Braga). Sometime the kid matters more than the love interest! Fear not, however, as all of the great political subtext that you expect out of a Neill Blomkamp film can be found from top to bottom in Elysium; political subtext covering social inequality, healthcare, immigration, and the protection of civil liberties. The problem is that Blomkamp’s political commentary is never truly focused and has trouble being shown through the lens of a big summer action film. 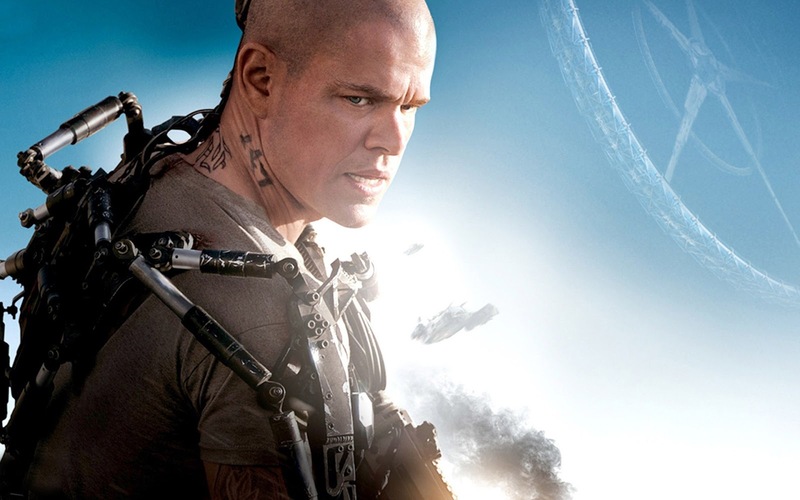 The sophomore director would have been better served embracing Elysium for the blockbuster it is rather than trying to tackle every controversial political issue of the early 21st century. 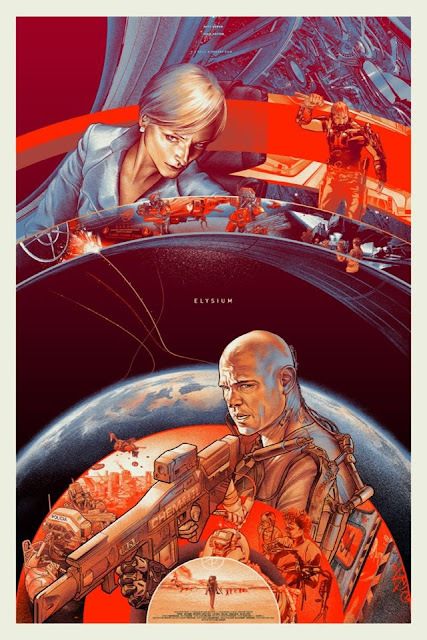 This is in no way a desire to dumb down Elysium but rather a want for a balanced action film that focuses its political message. look like more of a classic than it will probably end up being! 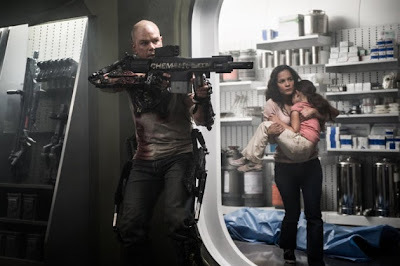 Elysium is at it's best when the film focuses on it's action beats rather than political commentary. For example, the most pulse pounding parts of the film come in the simplest forms, like seeing Kruger’s (Shartlo Copley) manhunt for Max and the subsequent madness that ensues both on Earth and on Elysium. The lack of polish in the film is clearly evident in Copley’s character of Kruger, who was one of the best parts of the marketing for this film, but unfortunately the character amounted to nothing more than a clichéd hired gun. This made the incredible action scenes between he and Damon feel just a little dull. This also rang true with the rest of the amazing actors Blomkamp had at his disposal in the film, as the director seemed to get solid but lacking performances out of actors as talented as Jodie Foster and William Ficthner, with only Matt Damon as usual exceeding expectations. 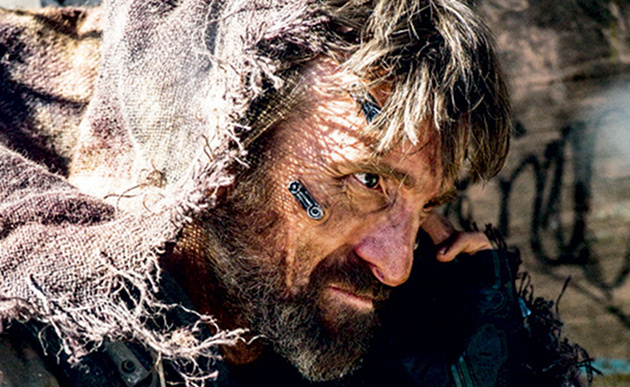 Shartlo Copley's Kruger is one of the most interesting, but lacking, parts of Elysium! Ultimately, Elysium fails at Neill Blomkamp’s mission to create a truly meaningful summer blockbuster. However, you really have to admire the sophomore director’s drive and goal to try to push for something more than popcorn fun with a big action summer release. Two films into his career we now know that Blomkamp can create a truly powerful commentary as evidenced in District 9 as well as a truly fun action spectacle as evidenced in Elysium. The question now becomes, can the director mesh the two together and create something truly different with his next film?